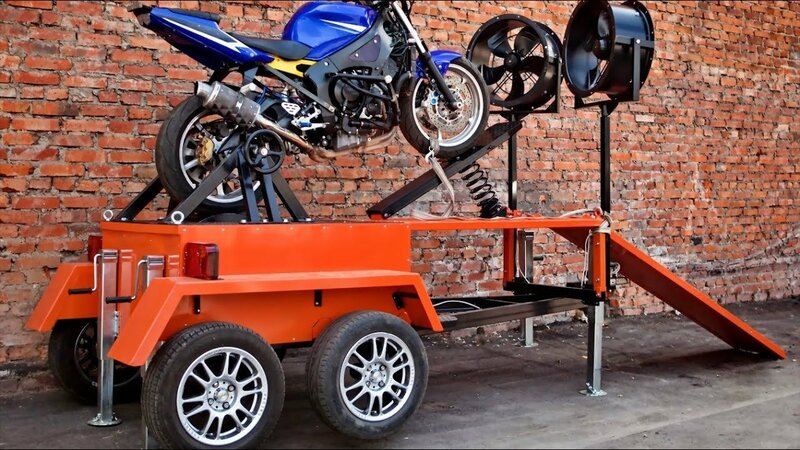 Recently we have made a wheelie machine for the guys who are making a film about stuntriding. Unfortunately, we had it for only one day, but we managed to ride and test it. This machine worked out well, it was our 5th sample. We were satisfied with its quality. It was very nice to realize that we managed to make a quality product that is better than any foreign analogues. Secondly, the machine became more suitable to the real conditions: we could easily pull the bike into an angle while sitting on the handlebar. Now the machine is in Nizhny Novgorod. Of course, there is still something to strive for! We noted for ourselves a few points that can be changed next time. So if there is a next one, then it will be even better! We managed to take a few pictures and make a small video!